A new free guide helps property owners test the quality of their well water prior to or even during oil and gas drilling operations, potentially allowing them to detect toxic chemicals. Created by the University of Colorado Boulder’s Colorado Water and Energy Research Center (CWERC) and dubbed the “Monitoring Water Quality in Areas of Oil and Natural Gas Development: A Guide for Water Well Users,” the free PDF can be downloaded from the CWERC website. The guide could prove an invaluable tool for property owners in rural areas near oil and gas drilling operations, where hydrocarbons and toxic hydraulic fracturing chemicals have occasionally contaminated drinking water wells. Physicians have expressed concerns about long-term exposure to carcinogenic chemicals such as benzene. The new guide clearly spells out how to establish a baseline for groundwater conditions, and then describes how to monitor that baseline to create a long-term record. “Baseline data is important because, in its purest form, it documents groundwater quality and quantity before energy extraction begins,” CWERC Co-founder and Director Mark Williams said in a press release. “Once a baseline has been established, groundwater chemistry can be monitored for changes over time,” added Williams, a fellow at the Institute of Arctic and Alpine Research and a CU-Boulder professor of geography. Oil and gas companies contend that drilling occurs so far below groundwater sources that contamination of drinking-water wells is virtually impossible. However, DeBeque outfitter Ned Prather in 2008 drank from his rural drinking water well on Colorado’s Western Slope before realizing it had been contaminated with benzene from a nearby drilling operation. Long-term exposure to benzene, a common industrial chemical, can cause acute myelogenous leukemia (AML), which is a cancer of the blood-forming organs. Prather sued one of the oil and gas companies drilling near his property and later settled, although the company denied responsibility. Dr. Michael Pramenko, a Grand Junction family doctor and former head of the Colorado Medical Society who treated Prather, is worried about the potential contamination of drinking water wells near oil and gas operations in rural areas, especially if it leads to long-term exposure to toxic chemicals for residents of areas with significant oil and gas drilling. CWERC’s guide stems from state public health recommendations that well owners test water every year for nitrates and bacteria, and it also recommends well water users collect more than one pre-drilling baseline sample if possible. 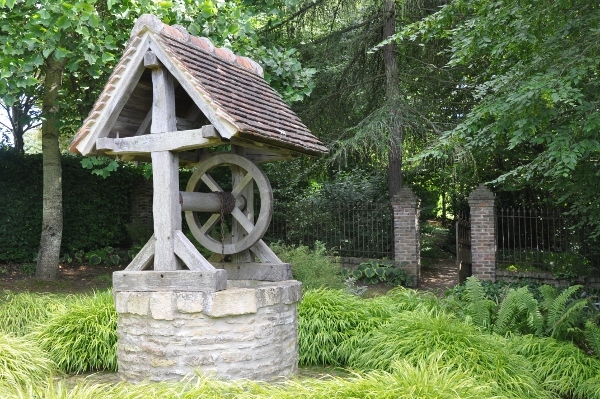 Property owners should collect samples in both the spring and the fall because water chemistry varies during the changing seasons, and the guide also states that well owners should measure the depth from the ground surface to the water in their wells during the fall dry season so they monitor changes. “Colorado’s oil and gas regulators have established some of the most comprehensive groundwater monitoring regulations in the country, but those regulations do not require oil and gas operators to sample every water well in an oil or gas field,” CWERC’s Williams said. The guide outlines what chemicals well water users should test for and provides a list of certified laboratories that offer water testing. The guide also helps people interpret the scientific data, chemical references and compound levels outlined in the lab results they’ll receive, as well as any industry tests or reports related to drilling in their area. To download a free copy of the guide, go to the CWERC website, or for additional questions or to obtain a print version of the guide, call (303) 492-4561.